The job description for a master electrician is to get permits and carry out electrical work as needed by law for maintenance and construction work on state homes like office buildings, health centers, highways and prisons. 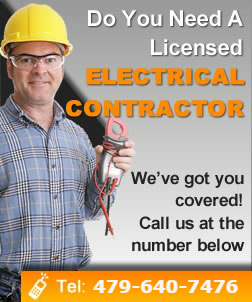 A mastered licensed electrician in Arkansas connects wires to switches, controls, plugs, traffic controls, lights, breaker panels, switchboards and appliances…. Is Your Electrical Service Panel a Safety Hazard?